Atlas Is Signing On CDL-A Owner Operator Drivers And Team Drivers For The Commercial Truckload Division In The Trumbauersville, PA Area! 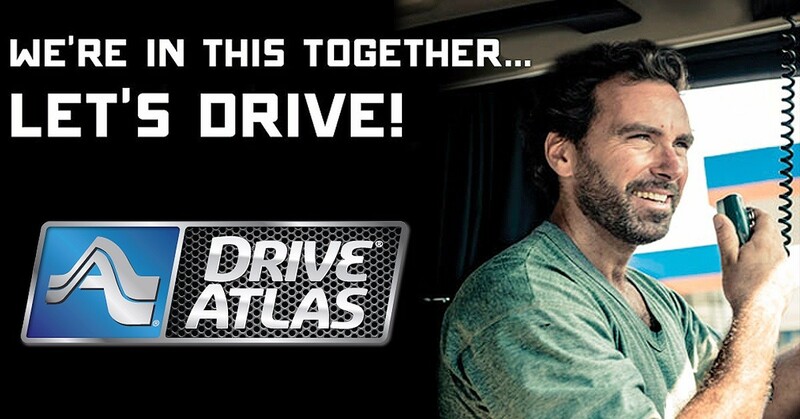 Atlas corporate fleet owner operators David Vaughn and Nathaniel Green discuss some of the reasons why they have chosen to drive for Atlas. The Atlas commercial truckload division is a small truckload/less-than-truckload division running coast-to-coast no-touch shipments of new products, store fixtures, office furniture and trade show items. Commercial Truckload Division Lightweight Dry Van Loads – 15,000 to 25,000 lbs. CTD- $1.73 - $2.09 mile average and $145,000 - $197,000 average annual gross. The division average is $1.86. 877-793-9081 for Atlas Job Offers!